An interesting week in Orlando, as TechEd weeks generally are. 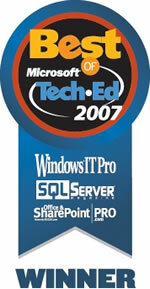 The Zenprise team returned home with the Best of TechEd 2007 award! 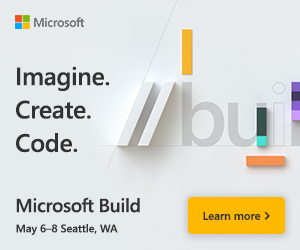 That’s 2 years in a row – first time a start-up has won Best Of TechEd two years in a row! What’s a cause for cheer for most of us – this time it’s in the Mobility category, for Zenprise for BlackBerry! (Last year, Zenprise for Exchange won the Best of TechEd in the Messaging category – read previous post “Zenprise wins Best Of TechEd 2006 award“). It was great to see customers visibly excited about Zenprise for BlackBerry, and the new User Dashboard feature in Zenprise 3.1 (in beta right now, this is what attendees saw at our TechEd booth last week) promises to make the job of IT/messaging/mobility help desks a lot easier. For Exchange, the User Dashboard provides a quick snapshot of all the important user properties and real-time performance stats of a user’s mailbox server. For BlackBerry, the User Dashboard shows BlackBerry Enterprise Server and BlackBerry device-related properties and performance stats, and also an end-to-end availability state for a particular user. The dashboard also enables instant testing of a user’s device.